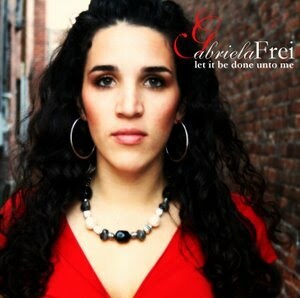 Gabriela Frei: FREE CONCERT! come hear me and my good friends sing, praise, and have a fabulous time! FREE CONCERT! come hear me and my good friends sing, praise, and have a fabulous time! LOCATION: Ballroom at St. John the Evangelist Catholic Church in Naples. Joining me will be the uber talented Tom Oram and Jennine Fuentes. Please come to this FREE concert that will uplift your heart. We'll do a little gospel, a little praise, a little classical... it will be a night full of fun times and superb music. 2012 Diocese Year in Review uses MY music! Come What May - Duet with Paul Todd, Jr.